Sunshine and a few clouds. High 84F. Winds SSW at 10 to 15 mph.. Partly cloudy skies this evening will become overcast overnight. Low 61F. Winds WSW at 5 to 10 mph. 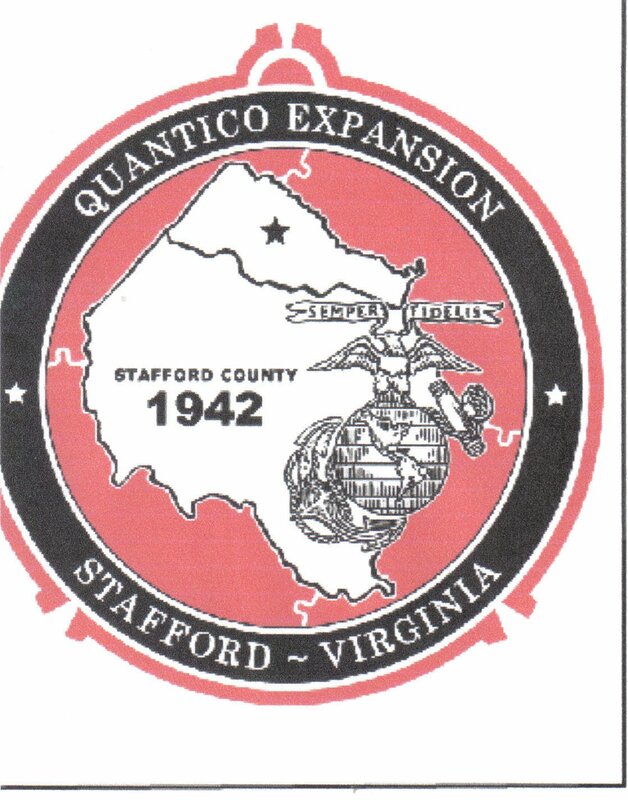 Stafford Historical Society’s 2018 ornament commemorates the expansion of Quantico. Each year, the Stafford County Historical Society sells an ornament that depicts a scene relating to local history. Previous years’ ornaments showed historic sites—such as George Washington’s Ferry Farm, Government Island and Chatham—while others heralded famous figures with ties to the area, such as Capt. John Smith and Abraham Lincoln. 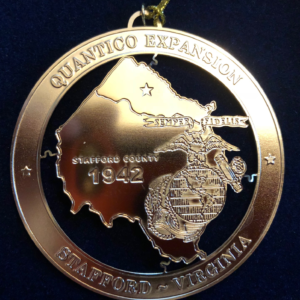 This year’s ornament commemorates a time during World War II, when the U.S. Marine Corps wished to expand the Quantico Marine Corps base. In 1942, the government condemned 30,000 acres of Stafford County for the expansion. Some residents had less than three weeks to pack up their belongings and find a new home, said Jane Conner, vice president of the historical society. “If they need my farm to get through this war, then they can have it,” William W. Cloe, a displaced resident and veteran, told The Washington Post in October 1942. The ornament depicts an outline of Stafford County, along with the 1942 seal of the Marine Corps. Ornaments will be sold for $15 each in the lobby of the Stafford Administration Building, 1300 Courthouse Road, on Friday from 8 a.m. to 5 p.m. Later, ornaments will be available for sale at the Citizen’s Assistance Office at the Administration Building; Gari Melchers Home and Studio, 224 Washington St., Falmouth; and Olde Virginia Gourmet & Gifts, 261 Garrisonville Road, Suite 109. All proceeds go in a Stafford Museum fund. Artists with The Ornament Company in Williamsburg produced the decorations, which are made of brass and covered with a layer of 24-karat gold, said Conner. The Stafford County Historical Society usually meets the third Thursday of each month at the Stafford Administration Center, Conner said.